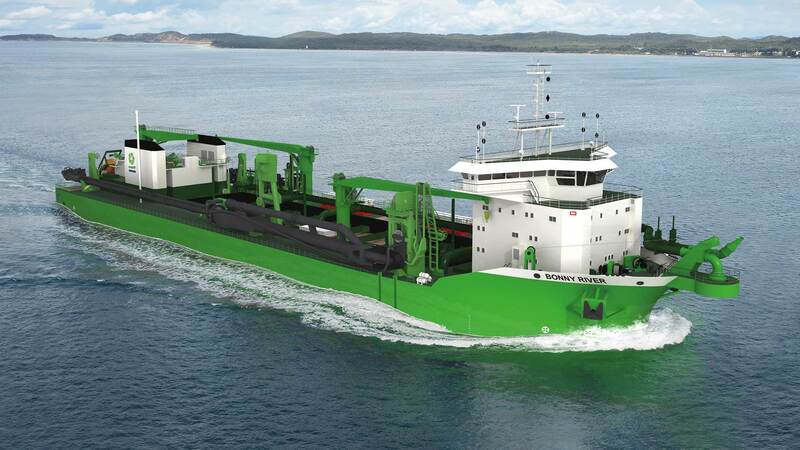 DEME has ordered a 15.000 m3 Multifunctional TSHD. 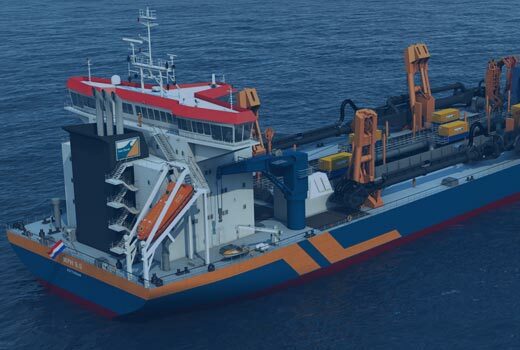 C-Job Naval Architects was responsible for the Initial & Concept Design together with Belgium Dredging giant DEME. 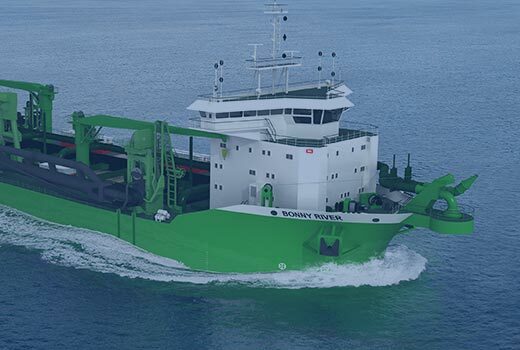 The vessel will be called “Bonny River” and can be typed as the first of a new generation of Trailing Suction Hopper Dredgers. The Bonny River will be built at Royal IHC. 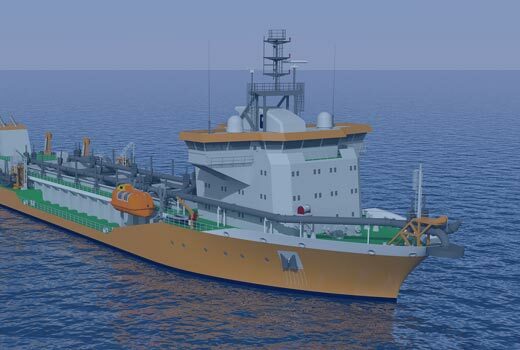 Long suction pipe with a built-in submersible pump and a second shorter suction pipe with heavy-duty rock draghead, which enables the vessel to extract sand from more than a 100 meters deep and operating hard soils areas. 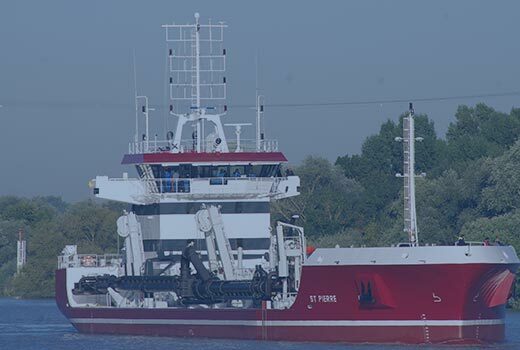 This makes the ‘Bonny River’ a multidisciplinary vessel as it can remove hard soil which was not able to be dredged in the past.